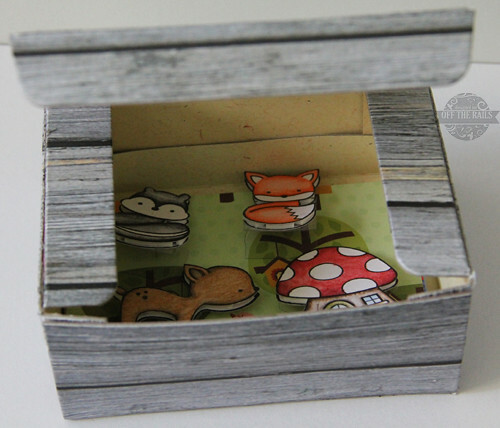 Carol's Paperie: Lawn Fawn "Critters" Drama Box! Today at Off The Rails Scrapbooking, I will be sharing a simple and fun tutorial on making a travel story-telling kit for kids using Lawn Fawn stamps and acrylic sheets. Please do hop on over to have a look at the tutorial and also join in our once a month challenge!! This month's sponsor is of course, Lawn Fawn. 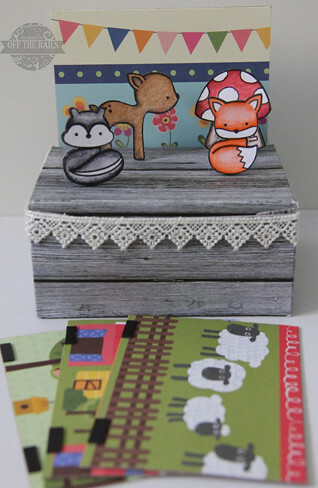 So do join in our Mood Palette with Sketch challenge and win yourself a Lawn Fawn stamp set. Here's some pictures of my project. Do go here for the full tutorial. Have a nice week ahead. Thanks for visiting!